A girl at night, a caged monster during the day. Aislinn has lived in darkness as long as she can remember. She is Korrigan— and only by Life-Stealing can she keep her human shape from dawn to dusk. When she finally steps into the sunlight, the first person she sees is Zane. He’s everything she wants— handsome, sweet, and normal. But an encounter with the Far Darrig, the malevolent trickster of Old Irish myth, changes Aislinn’s future. He opens a new realm of possibilities that are anything but normal— and with them, brings dreams and desires as dangerous as he is. Above all, Aislinn craves choice— the right to decide her own path. But what if gaining power for herself means giving up something much more precious? I received a copy of this from the author, the Rebecca F. Kenney. My thanks to the Rebecca for this opportunity. These are my honest thoughts of the book. I have a mixed bag of likes and dislikes for this. I liked the mythological aspect of the story, and how the author weaves this into a contemporary setting. But I struggled to connect with the characters and therefore could not get invested in the conflict of the story. I also felt the dialogue was a little clunky, and there was a little too much telling instead of showing. The romantic aspect, and love triangle, was a little too strong for me. Overall, I didn’t really enjoy this, but that’s just because my personal preferences didn’t line up with it. It’s not a bad story – far from it. It’s well written, the characters are well defined, and the plot flows smoothly. If YA urban fantasy stories that have a love triangle are your thing, then give this a go. A strong debut. This is a real tough one for me to rate/review. If I’m honest with myself, and with you, I don’t think I enjoyed this. But I hesitate in saying that because I wouldn’t call this a bad book. I think it just wasn’t for me. I really struggled to get invested in the story, the characters, and the plot to the point that I really had to force my way through the last 20%. But let’s go a bit deeper! That’s what she… NO! We get two MCs with alternating POV chapters. Aislinn, is very well written and comes across as a realistic teenage young woman. But I was never able to get fully invested in her. I didn’t find myself really caring too much what was happening to her. She’s been through what could be considered as a traumatic childhood, and there wasn’t much in her character to show this. The other MC, Zane, is a little too different to someone I could relate with. He is a typical teenage young man, with a group of friends, and a supportive family environment. Like, who even has that?! He’s a really nice guy, but just a bit… boring. The are MANY supporting characters and if you know me and my likes, you’ll know that I really struggle with books that have a large numbers of characters. I just can’t keep up with who everyone is and how they play a part in the story. I think a couple of these characters could have been removed from the story and it wouldn’t have changed much. I don’t want to give the impression that any of the characters were unrealistic or two dimensional in any way. They really aren’t. They are all very well written, and each one has a distinct voice and style. It’s just that they, particularly the teenagers, are people that I was never able to relate too when I was a teenager, and I still can’t as an adult. I don’t dislike them, I am just indifferent to them. The Far Darrig, on the other hand, is a character that initially piqued my interest a lot. I had not heard of the mythological character before reading this. I did read up a lot about him afterwards. I sure do love me a dark, mysterious, magical, character that holds power in a situation simply by being present. Oh, yes please! Unfortunately, I didn’t feel like this guy reached his full potential. He was always just missing… something. As the story went on, he became a little too human for my liking. I wanted him to remain as a dark, dangerous, just out of reach, character. I also wanted to see more of his abilities and a showing of why he was this deeply feared individual. There is some of that, but not enough for me. I found the pacing of the plot a little slow. Which isn’t necessarily a criticism. I love slow burn books. But only when I’m invested in the characters. Because I couldn’t really get invested in these characters, the plot felt like it dragged on a little in places. It also meant I couldn’t get invested in the conflict the characters were going through. I want to be very careful here to not label it is teenage drama, because that implies the struggle is trivial, and any struggle that anyone, regardless of age, experiences should be taken seriously. It’s a struggle that I could not relate to myself. I also never really felt like any of the characters were in real danger. Again, if I could be invested in the characters, I think I would have enjoyed the plot a little more. It is a well structured plot, with a good amount of foreshadowing and realistic actions and behaviours that allowed events to flow well from one to another. The ending is a little formulaic, but fits the story well. The dialogue is something that I also had mixed feelings about. Some of it is really good, comical, fluid, natural conversations, that add tension and humour in the right places. But there is places where it felt a little forced and a little too expositional. There is quite a lot of telling and not showing happening in this and I would have preferred to learn about people and situations in a more varied way other than Character A tells the story to Character B. The way Zane and his buddies speak to each other is difficult to read. I found myself having to reread their dialogue multiple times to get the beat and internations right. But I think that’s just because it’s so far away from anything I would have said to anyone when I was a teenager. It wasn’t unrealistic by any means, I’m pretty sure lots of people speak to each other in that manner, girl. This is book 1 in a trilogy and it is possible (although I don’t know for sure, I haven’t asked the Rebecca) that this was written with the author knowing the bigger story. It’s possible that the things I felt lacked substance in this book would develop to their max in subsequent books. Personally, I like books to contain their own stories, and to develop their characters fitting with that story. Each book in a series should be able to stand alone but also fit with a larger series arc, allowing the series to become greater than the sum of its parts. But that is just a subjective personal preference and not a rule per se. Overall, I like a number of things with this, but unfortunately felt like many things didn’t reach their full potential. 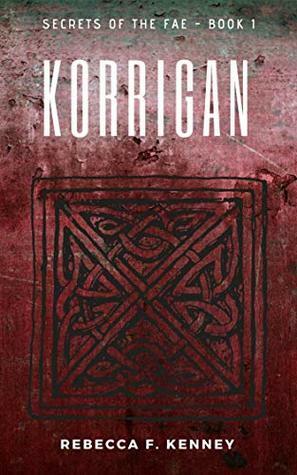 I liked the concept of weaving ancient Irish mythology into a contemporary setting. It’s not wholly original, but I am a sucker for modern mythology stories. The author has clearly done a lot of research into Irish mythology and used this knowledge to craft a believable and well structured story. The things I didn’t like with this, are simply personal preferences. And so although I won’t be continuing with the series, I would recommend this to people that enjoy YA urban fantasy stories that have a love triangle theme. It is a strong debut. Anyway, I’m off to give people my email address because I don’t have a phone. Until next time, Peace and Love! Interested to read your review – Rebecca offered me a copy of her novel to review but I declined because it didn’t sound like my genre. Well, now, this sounds like something I might quite like to read at some stage… I have had some pleasant experiences with fae stories… I must keep this in mind. 🙂 I think you might like this. It’s not heavy on the fantasy aspects, it’s more urban fantasy. The fae are good and the Irish mythology is used in a really good way!